H&R has introduced this Street Tuner CoilOver suspension kit for the 1M that has several unique features for the discerning enthusiast. H&R has designed this premium coil over specifically for the 1M using new materials and features not found on a typical 135 or M3 kit. 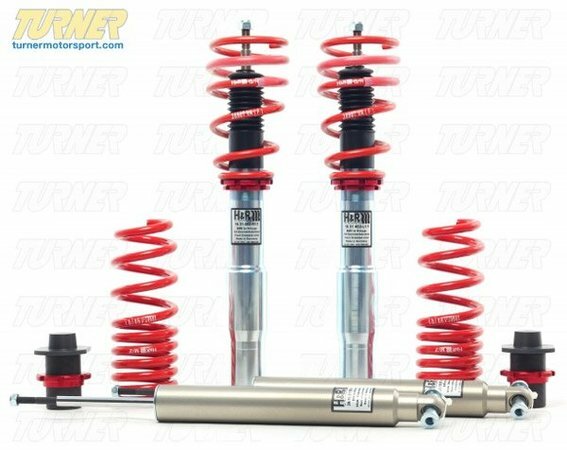 The key features of this kit are the aluminum rear shocks with solid, Heim-joined lower mounts. The lighter weight from the aluminum and the free motion from the lower monoball makes for a more efficient shock motion and better response from the suspension. Combine these with our monoball upper shock mounts and you have race-bred shock technology for the ultimate BMW driver's car. 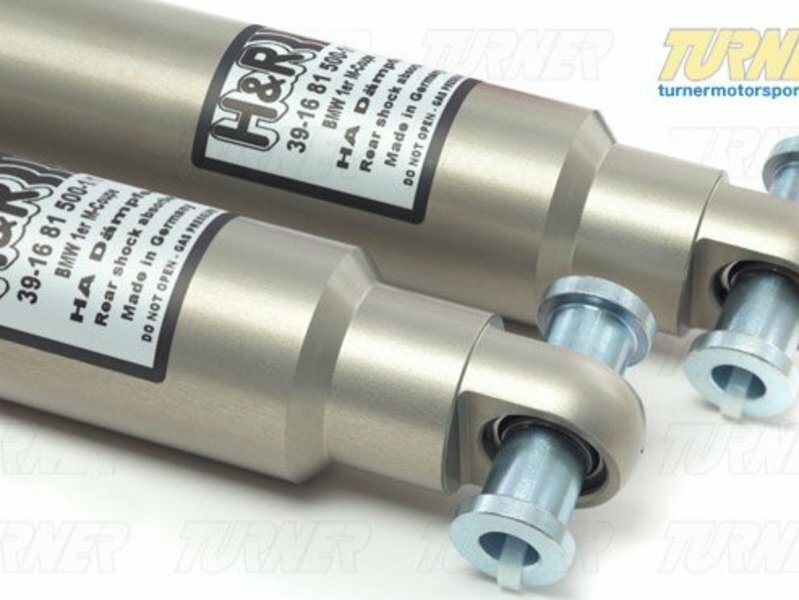 H&R finely-tuned the rear shock dampening to reduce wheel hop. 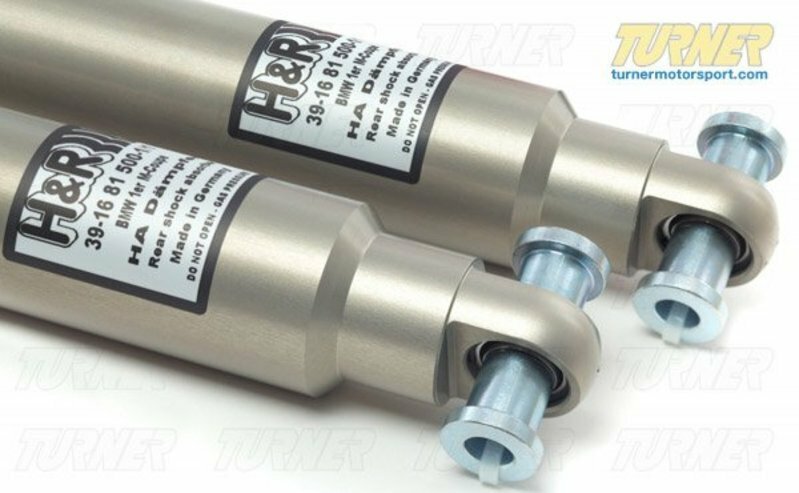 The wheel hop is inherent in the 1M and these H&R rear shocks go a long way in eliminating it. The front struts are a true nickel-plated, threaded body replacement for the stock strut. All four progressive-rate springs are included and rear aluminum ride height adjusters complete the set. You'll find this kit on H&R's own Project 1M so it has been dialed in by some of the best suspension engineers in Germany and the USA. 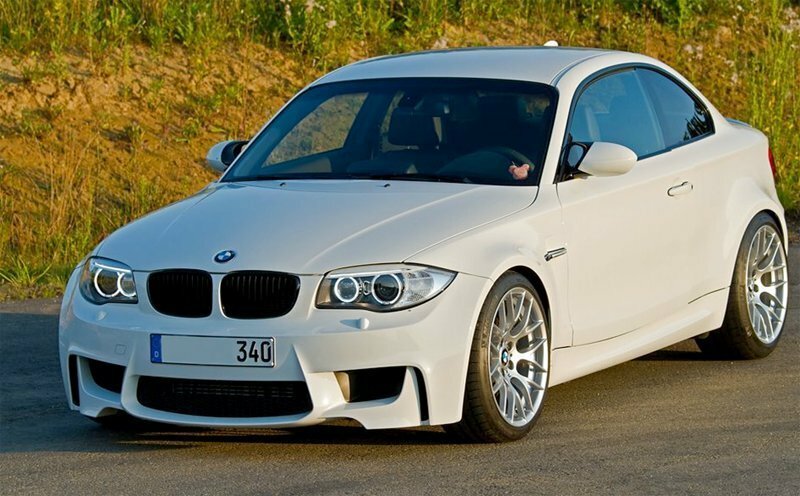 These 1M Coil Overs are height adjustable in the front and rear using spring perches associated with each spring. 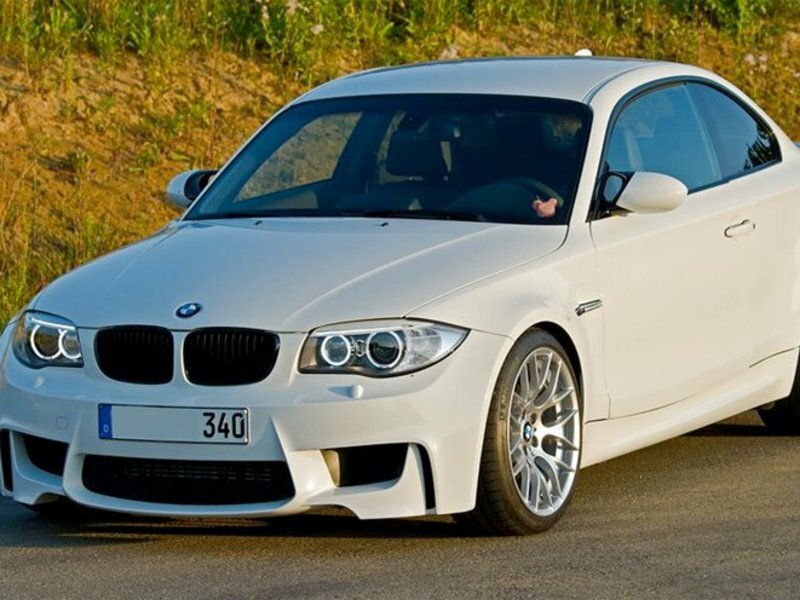 This helps to improve handling by lowering the center of gravity, reducing bodyroll with a stiffer spring, and reducing the unsightly wheel-fender gap.